Please join us for the ICA’s 2018 AGM event on Saturday May 5th 2018. The AGM will be preceded by an all-systems tunes workshop with John Dipper. 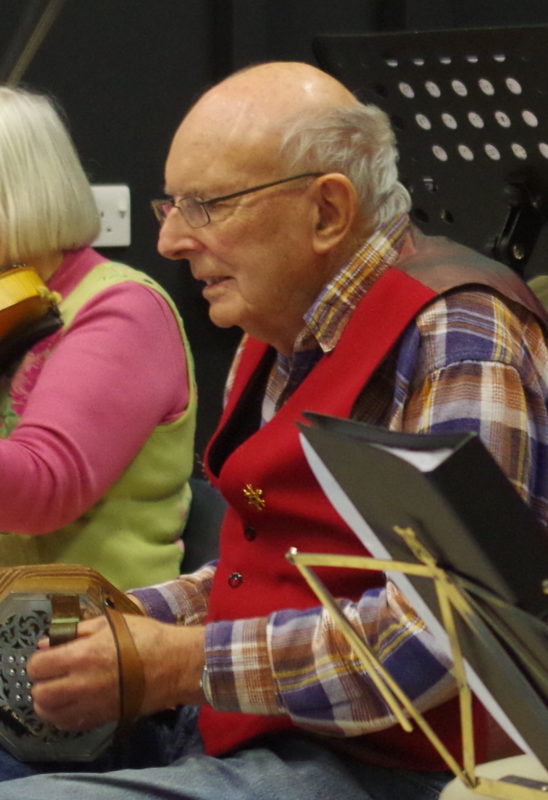 Afterwards there will be free time to play, chat etc, and in the evening there will be a concert featuring John along with The Offcuts (a subset of the well-known J25 Concertina Band) and other turns yet to be confirmed. The following day, Sunday May 6th, is WCCP’s regular playing day at the same venue. Why not come for both days and make a weekend of it? There is some car parking at the hall.. Ruishton is close to Junction 25 of the M5, and Taunton with its main line railway station and bus connections is only a short taxi ride away. Nearest airports are Exeter and Bristol. Lunch will not be available at the hall, but you may bring your own. The Ruishton Inn and Toby Carvery are quite nearby, and there are many pubs and restaurants in Taunton which can provide meals at lunchtime and in the evening. Nearby accommodation options include Premier Inns at Ruishton and Taunton East, Holiday Inn, Holiday Inn Express, and Travelodge. Other independent hotels are available in Taunton as well. Alcohol must not be sold at the hall, but you may bring your own for personal consumption.. Also, no animals are allowed on site apart from registered assistance dogs. Please contact Paul McCann (treasurer@concertina.org) or 07947-217840 with any queries, and to reserve tickets for the concert. Also it would be helpful for planning purposes to know if you plan to attend the workshop in the morning.